Zoho People is the HR management software of Zoho’s full suite of business applications and tools for small and medium enterprises. It is an easy to use and flexible solution to address essential areas of HR such as employee activities, personnel records, time/attendance, leave-of-absences, and the like. Zoho People is built out of the box and can be immediately implemented without disrupting the continuity of HR operations. 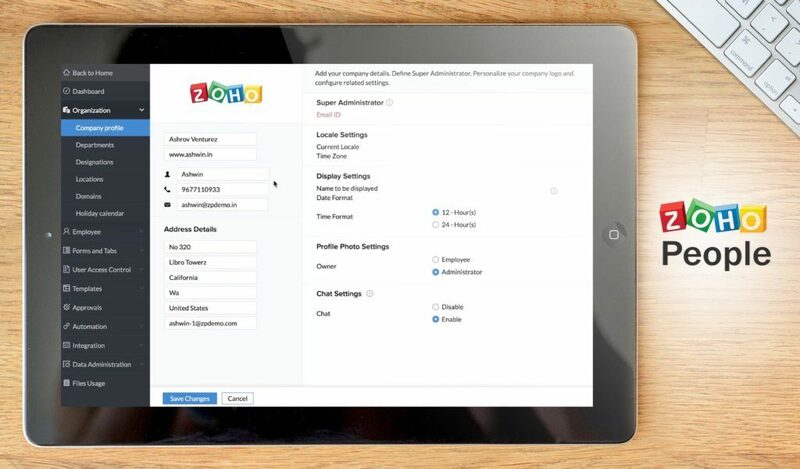 While Zoho People may be one of the most feature-filled HR management apps out there, there are many alternatives available in the market with core features, pricing and other benefits that may be more suited for your business type, company size or budget. We are here to help you in find your best HR tool. Zoho People is an award-winning platform that currently ranks high in FinancesOnline’s category listing of top HR management software. We really appreciated the strength of its comprehensive features that cover all aspects of HR management. From a centralized hub to enable easy access of resources, to mobile capability to facilitate communication and checking of schedules, a collaborative set up to facilitate problem solving and idea sharing, to process automation and real-time analytics, and a whole lot more, Zoho People is designed to enhance personnel productivity and performance. Furthermore, Zoho People offers five affordable and flexible pricing plans starting from $9 per month, making it ideal for small and medium companies. Also, being an integral part of the Zoho family of business and office solutions, it can work in tandem with a host of Zoho apps and tools aside from other popular third-party platforms. This adaptability and integration ensures that employees can maximize their time, resources and output. 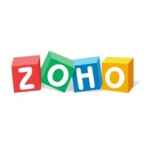 What are the Benefits You can Expect from Zoho People? Zoho People may be one of the most feature-filled HR management apps out there, but not all software is created equal. There are numerous HR solutions and Zoho People alternatives available in the market that you may want to check out and find if there is a more suitable fit for your company’s HR needs. BambooHR is a highly-ranked online HR platform designed for small and growing companies as well as mid-sized businesses. It has an intensive array of features to facilitate various HR functions so that HR professionals can save on time and operational efforts. BambooHR brings with it personnel data modules, advanced reporting, benefits management and performance administration, applicant tracking system, and role based access to information, among many others. If you’d like to see the software in action for yourself the vendor offers a great free trial plan that you can use to try out all key features. You can easily sign up for BambooHR free trial here. The platform also has a cutting-edge Human Resource Information System (HRIS) to manage all elements of employees’ life cycle and provide important metrics on such aspects as retention and turnover. One of the many notable highlights of the BambooHR app is its intuitive and sleek-looking interface that can be easily navigated even by first-timers. The clean chapter-based organization of people and direct reports in the system provides the most detailed summaries, further enhancing user experience and expediting HR processes. To offer you a wider choice, we present these viable BambooHR alternatives. Workday is a popular SaaS enterprise-class software intended to manage modern companies and global businesses. It is a cloud-based, subscription based service used by Fortune 50 corporations for HR activities ranging from payroll and financial processes to human capital management. Considered as a viable alternative to legacy ERP, Workday provides solutions for today’s modern businesses through its expandable functionalities, modular set up, integration capability and quick adoption, aside from its lower ownership cost. To offer you a wider choice, we present these viable Workday alternatives. Why use Workday instead of Zoho People? Why use Zoho People instead of Workday? SuccessFactors is a widely-used, cloud-based HR and talent management app that is part of the versatile SAP productivity suite. The app is meant to build an all-in workforce where the whole team operates on the same page. As such, the platform has tools for collaboration, on boarding, social business, learning management system, performance solution, recruiting assets, applicant tracking, talent management, succession planning, and HR analytics. All these and more are available in a reasonably priced full suite package aside from an individually tailored package with selected features. To offer you a wider choice, we present these viable SuccessFactors alternatives. Why use SuccessFactors instead of Zoho People? You have at your disposal a full line-up of talent tools. Why Use Zoho People instead of SuccessFactors? iCIMS Talent Acquisition is an on boarding and talent acquisition solution that offers a branded career portal among many other advanced features. It is especially designed to expedite and simplify the hiring process without compromising the qualifications and quality of candidates. Candidates can utilize the customizable career portal to find the right jobs while businesses can use the app to speed up the recruitment process and find the most suitable candidates using built in key metrics. Other core functionalities include job board posting, career site search engine optimization (SEO), and a social media distribution tool for extending your candidate search from popular social networks to more than 300 social media outlets including niche and specialty sites. To offer you a wider choice, we present these viable iCIMS Talent Acquisition alternatives. Why use iCIMS Talent Acquisition instead of Zoho People? Why Use Zoho People instead of iCIMS Talent Acquisition? Recruitee is a versatile and collaborative recruitment application built to facilitate hiring activities and effectively manage employees. Its interface is fully customizable and brand-compliant allowing for the creation of custom pages for every job opening and the use of a library with over 200 description templates for various job positions. These functionalities enable hiring specialists to come up with attractive job sites aided by a user-friendly employer branding editor that can highlight company culture and best practices. Moreover, the platform integrates with more than 800 job boards to ensure that there is always a suitable fit for your job ads. To offer you a wider choice, we present these viable Recruitee alternatives. Why use Recruitee instead of Zoho People? Why Use Zoho People instead of Recruitee? Planday is an employee scheduling software that managers can use to effectively manage their employees. It is a smart solution that empowers both employees and managers to work together and in sync. Planday connects everyone across all devices to facilitate share work schedules, punch clock, absences, shift swaps and more. It also has an advanced payroll export feature a location-specific clock-in tool that enables employees to clock in from any device after starting work. The app simplifies employee time management through automation, mobile connectivity, modern templates, and sophisticated reporting and communication. All these provide managers greater visibility into employee hours to enhance productivity and reduce time on scheduling tasks. To offer you a wider choice, we present these viable Planday alternatives. Why use Planday instead of Zoho People? Why use Zoho People instead of Planday? Zoho Recruit is a cloud-based recruitment tool that comes with customization features to help organizations promptly find the right candidates. Small and medium-sized companies, job agencies and corporate HR units can greatly benefit from the app’s automated recruitment functions. They can easily create and publish job openings, source and reach candidates, manage resumes, and communicate properly with applicants. One of its many highlights is an activity stream that displays all hiring activities. Other key features include website integration, automated workflow processes, job board posting, document collaboration, territory management, security administration, and social media utilization. To offer you a wider choice, we present these viable Zoho Recruit alternatives. Why use Zoho Recruit instead of Zoho People? Why use Zoho People instead of Zoho Recruit? ADP Workforce Now is a web-based HR platform meant for medium-sized businesses. The software can gather and automate all of your company’s HR processes into a single dashboard and manage multiple HR functions such as employee benefits, payroll, talent management, time and attendance, holidays, and onboarding, among others. Insightful reports can be generated and users can also get status and confirmation reports with detailed information on premiums, deductions, beneficiaries, covered dependents, coverage levels, and enrollments. The app comes with online support, video tutorials and a demo.  To offer you a wider choice, we present these viable ADP Workforce Now alternatives. Why use ADP Workforce Now instead of Zoho People? Why use Zoho People instead of ADP Workforce Now? Breezy HR is a feature-rich HR management software for businesses of all sizes. The product is a result of all HR and hiring best practices collected by the app’s makers to come with up a solution that streamlines employee management. Hence, the app is easy to use, works with existing software infrastructure, and balances great features with flexible pricing. It can be availed by small businesses at an affordable fixed cost, while large enterprises can get a quote-based price based on what they need. Breezy HR has all the essentials covered: from talent sourcing to candidate management, from reference checks to candidate scorecards, integration and mobile support, customizable pipelines and templates, collaboration and file sharing, as well as distilled reporting and analytics, and a whole lot more. To offer you a wider choice, we present these viable Breezy HR alternatives. Why use Breezy HR instead of Zoho People? Why use Zoho People instead of Breezy HR? JungoHR is a human resource information system built to unify and streamline all core operations of HR departments. This includes employee onboarding, benefits management, payroll, talent management, scheduling, and expense management, to name a few. Easily accessible on any platform due to its cloud-based deployment, JungoHR allows users to effortlessly check employee information whenever and whenever. HR teams can also take advantage of its automation capabilities to simplify the way they handle onboarding, leave management, payroll, recruitment and expense tracking. Moreover, it boasts connectivity with multiple carriers, thus enabling users companies to instantly connect with supported insurers. If you’re looking to find the perfect HR platform for your business, you can peruse our JungoHR alternatives. Why use JungoHR instead of Zoho People? It features multi-carrier connectivity for companies that have at least 20 employees up to 50,000. You can automate various core HR operations. Easily manage employee benefits in a centralized hub. Why use Zoho People instead of JungoHR?